The last job I had to do on a Friday afternoon was fit one of these. The client needed some more disks in their ESX Server, and its internal 8 bay drive cage was fully populated. After powering down the server and removing the blanking plates from the front I carried the cage over to the server and IT WAS TOO BIG. Thankfully this is covered in the instructions (which of course I had not read!) The cage is for an ML370 and an ML350 Server. 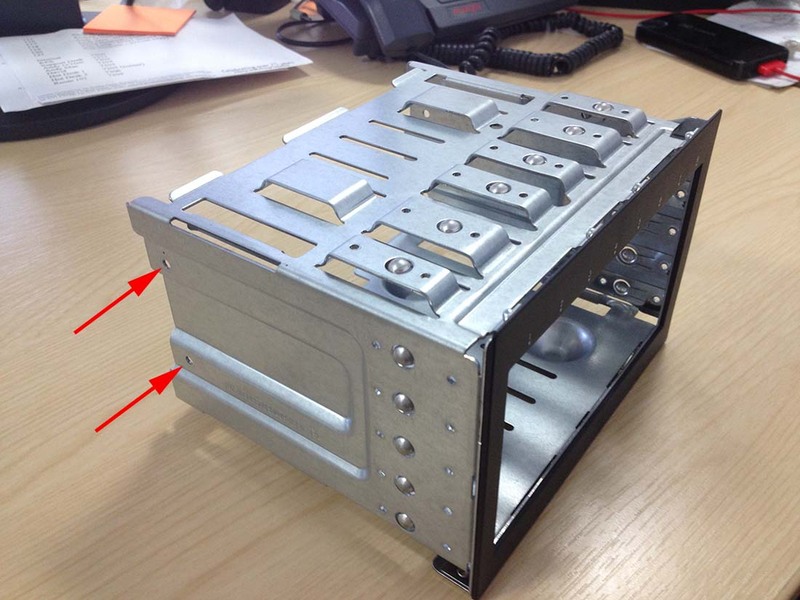 If you are fitting it in an ML350 you need to REMOVE the inner cage and discard the outer cage. Note: There are 4x torx screws, two on each side (as indicated below), that allow you to release the inner cage. Once the cage was fitted, and I’d installed the SAS card (a P400) that was going to control it, the instructions simply tell you to connect the power lead. Connecting one end to the new cage is easy, it’s obvious where it goes, but there is NO INDICATION where the other end connects to the server. I took the server out of the rack for a better look. 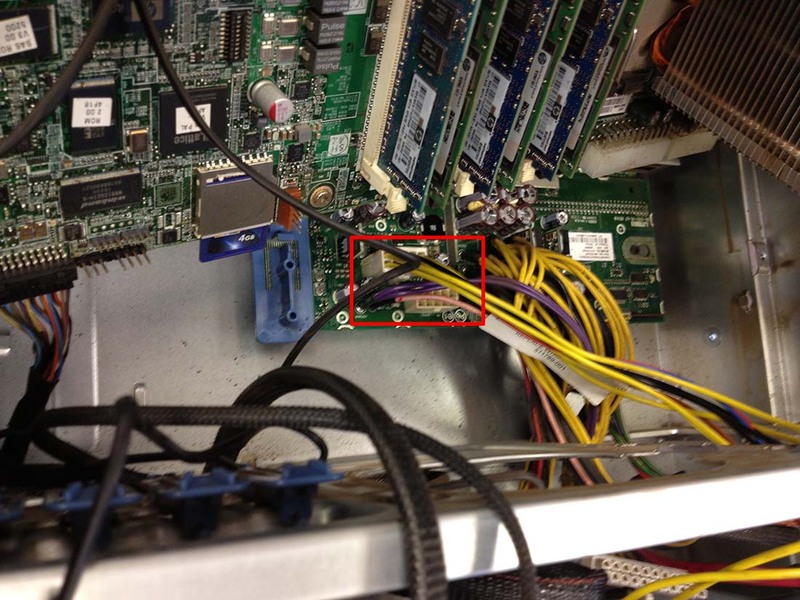 The motherboard diagram on the lid of the server was no help either. The factory fitted drive cage’s power lead disappeared through a hole to the ‘void’ under the motherboard. So after getting a second opinion from a colleague (cheers Andy!) the motherboard was removed, and hey presto! It is impossible to connect this power lead without removing the motherboard tray (sorry). You will see there are two power sockets (I don’t know why, as the 350 only supports 2 cages) the factory fitted one and an additional one. The ML 370 supports 3 cages so maybe they use the same board? 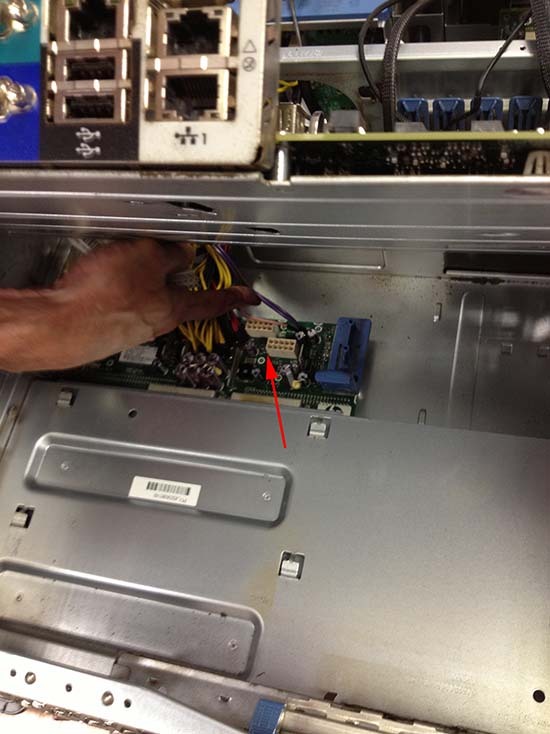 There was no indication which one to use so we picked the one closest to the rear of the server (and it worked).